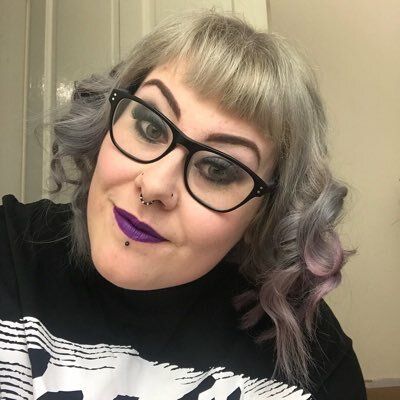 I have to admit I'm a complete newbie to false lashes and have only worn them a few times for special occasions or fancy dress purposes however lately I've been sampling some new lashes from KISS. 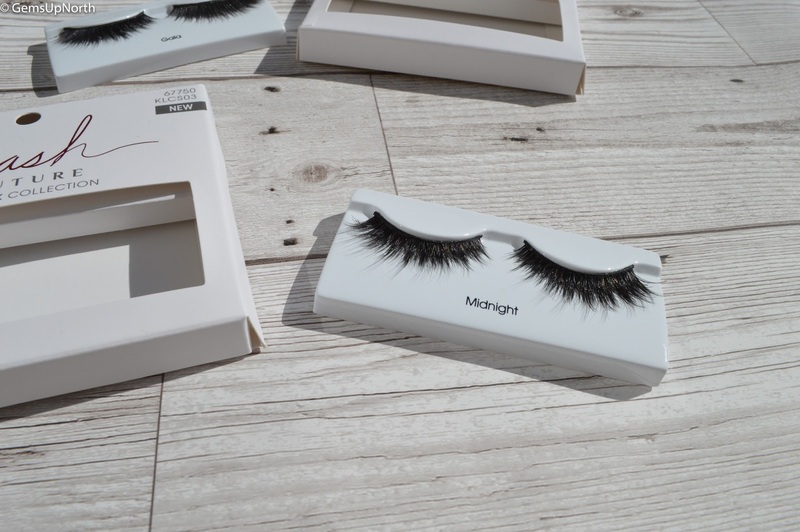 The brand's PR kindly sent me 2 sets of lashes to try; the *Gala and *Midnight styles are both from the NEW Lash Couture Faux Mink collection. 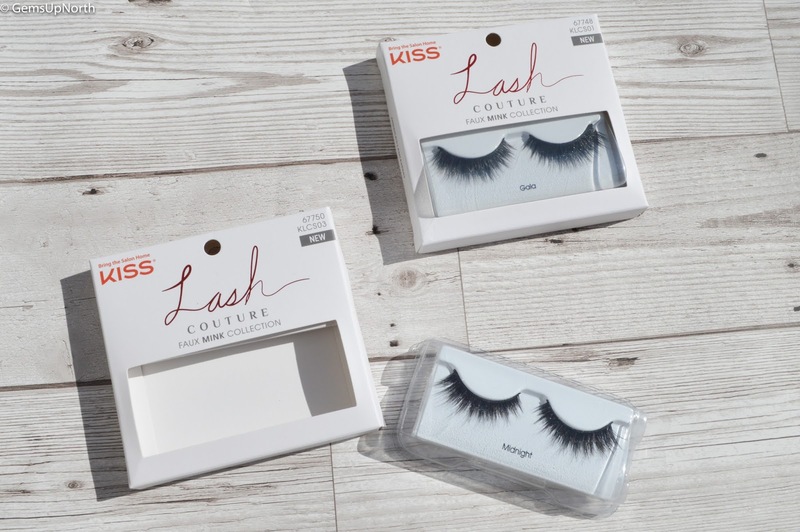 KISS recently launched the new Faux Mink lashes in 3 lash styles including the two styles I was sent; they have also got Lash Couture adhesive in black and clear in the range on the US website. 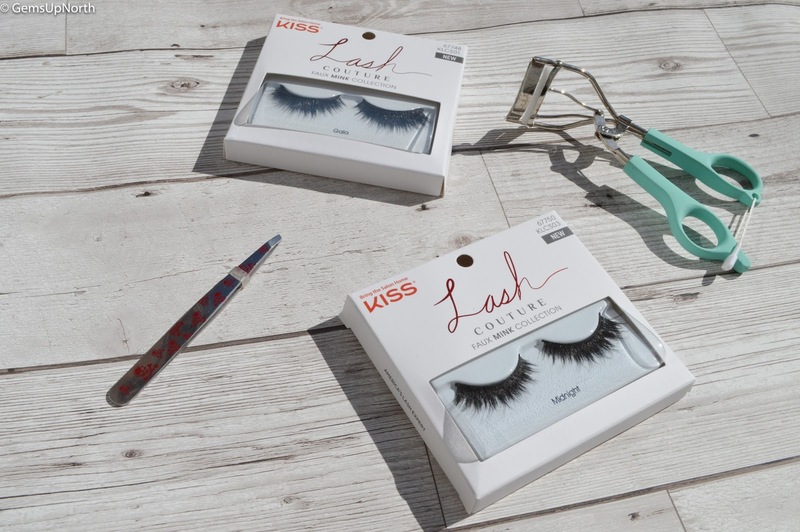 KISS lashes are available in Superdrug and they have the new Faux mink lashes on the website here for just £7.99 each; there are 3 styles to choose from; Gala and Midnight have a more intense look and Little Black Dress are more of a natural look. 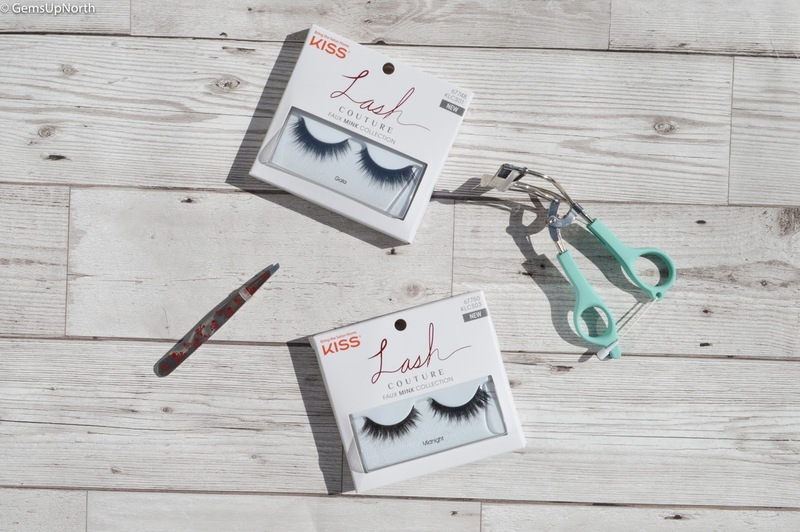 KISS have created a patent pending mink effect design with an exclusive knot free lash band giving us natural looking layers of lashes with soft faux mink hair. Each of the lashes are soft, silky looking, lightweight and can used up to 10 times. The lashes have multiple lengths, curls and angles to really give you that natural but dramatic look. As I've said above I'm a newbie to lashes but always been keen to try them so I was pleased to receive these lashes to try out. I read all the packaging information on how to best apply them which only has 3 steps involved and went ahead wearing them a few times a week. I found the application of the lashes a little fiddly at first due to me not being used to applying lashes, I'm sure the pros and false lash fans would have them on in no time. I felt the lashes in the convenient travel case that they come in and they feel soft and silky. The packet said to measure the lashes to my lash line and trip down if needed, I did have to cut a small amount off and did this from the inside leaving more of the voluminous lashes to go on the outer corner of my eyes. Since the lashes don't come with glue included like some other brands do, I used some I had left over from another set of lashes. I applied this to the knot free lash band and waited 30 seconds before using tweezers to place the lashes above my own eyelashes and holding them in place. The glue dried quickly and I was left with a comfortable fit and weightless lash. My eyes aren't used to wearing false lashes and sometimes when I've tried them in the past I've been able to feel them all the time and became irritated with them. 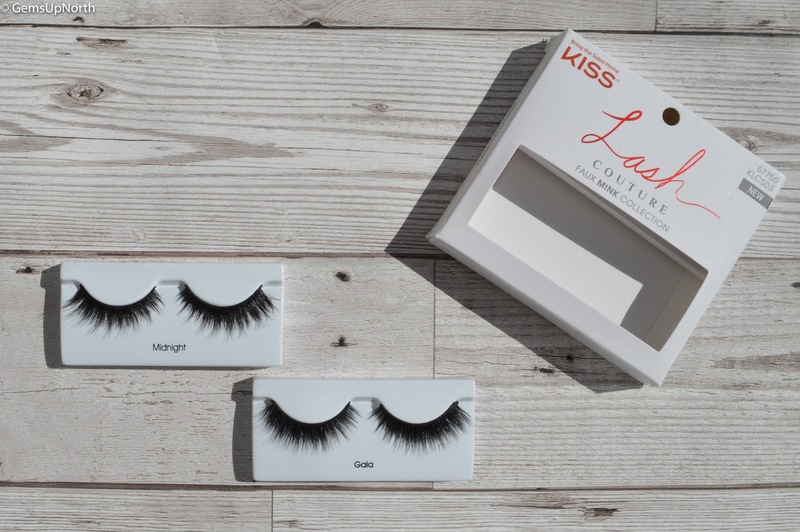 This KISS lashes are so comfortable to wear, I had them on for full days without any irritation or reaction from my eyes. The lashes felt like I was just wearing mascara but I could see them a little bit then I was blinking; not that this is problem. I also got a couple of compliments from people when I had them on. The packet states to gently peel off the lashes starting from the outer corner and then remove the glue from the lashes and wash them with water before leaving them to dry in the case provided. I went ahead and pulled gently on the lashes pulling from the outer edge of my eyes, the lashes came off with only a small pull which I didn't expect as they was well stuck on. The removal process took me all of 20 seconds, then I washed them under cold water and placed them back into the case to dry. Once dry I gave them a brush with a clean mascara wand just to separate the lashes and they was back to new again! I think if I keep looking after the lashes like this and caring for them I will get more than 10 uses out of them which is fantastic value. Over the last couple of weeks I've worn both pairs of lashes a few times each and there both still in perfect condition and I've got a little better at applying them too. If you want a more dramatic look than what you gain with just mascara then I'd highly recommend these KISS Lash Couture lashes and they are cheaper than some mascaras too. *PR Sample - all thoughts/comments are my own, see my disclaimer for more information.